Geroldsauer Mühle is the gate to the Black Forest due in part to its geographical location, but also because it allows guests to experience the Black Forest in its purest form. 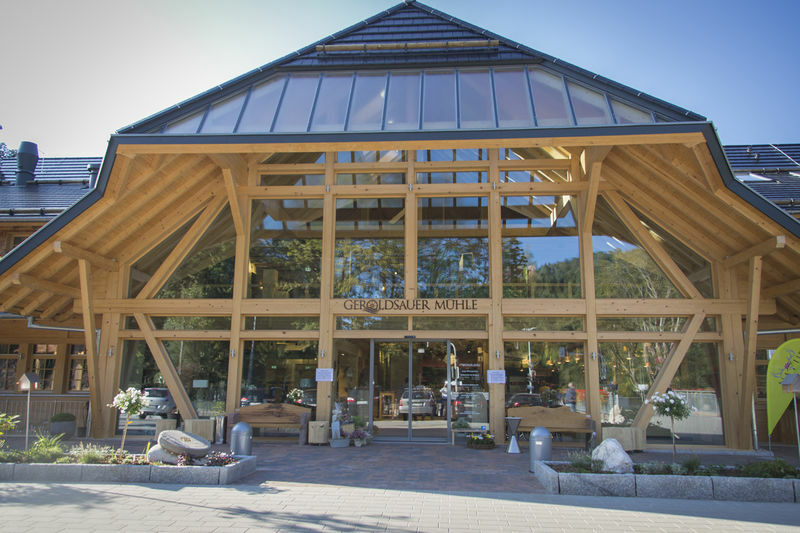 The inn with restaurant is one of the region’s largest buildings made of silver fir. The Geroldsauer Mühle restaurant with its three rooms is located in the left wing, whilst the outdoor area with its large beer garden offers plenty of space for a pleasant meal with a magnificent backdrop. 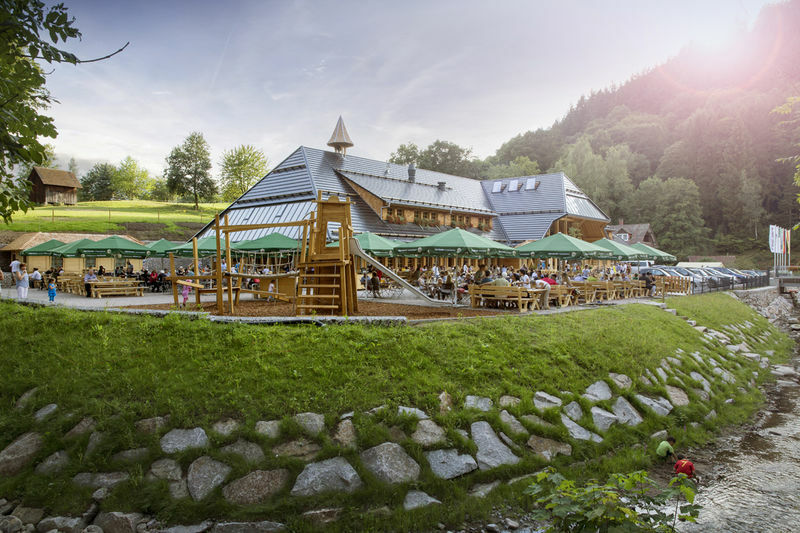 Here you will find regional specialities and the hospitality so typical of Baden, whilst the Black Forest inn with open fireplace and traditional hunters’ lounge also offers space for parties for up to 150 people. 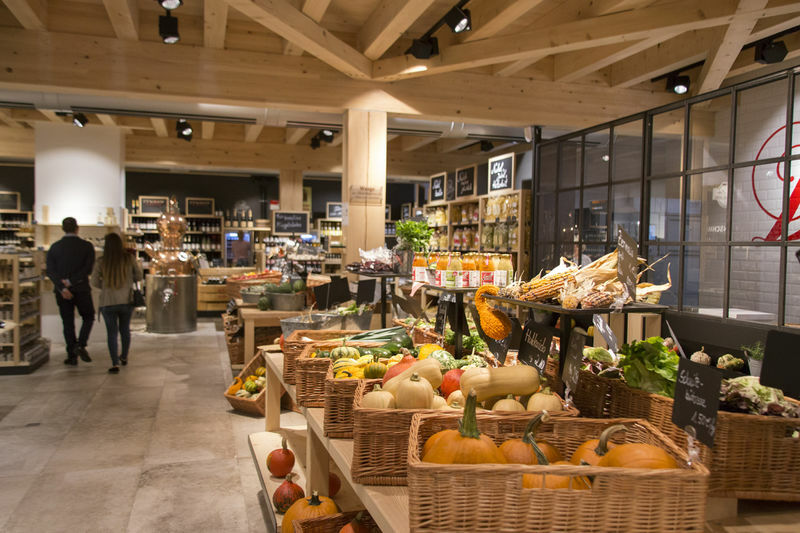 The right wing of the building offers regional and seasonal foods, whilst the mill market features a selection of regional and organic foods. You can watch the bakery right next door create baked goods using its own mill. The butcher’s also offers high-quality meats from select nature park businesses in the Black Forest. 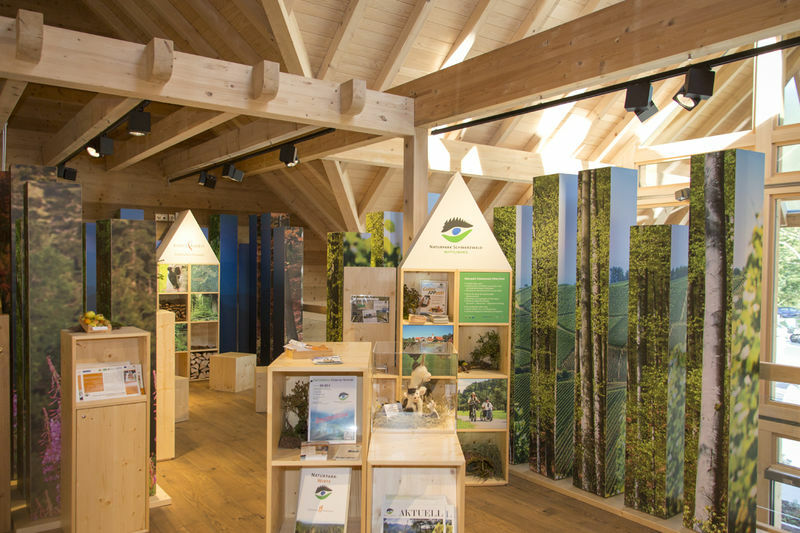 The Central/North Black Forest Nature Park, one of Germany’s largest nature parks, as well as the Black Forest National Park and the town of Baden-Baden are represented on the second floor of the Geroldsauer Mühle building with a varied exhibition on the region’s attractions. Discover first-hand the Black Forest’s diverse landscape of nature and culture with interesting images of woodlands, fields and meadows – and a fascinating range of experiences.